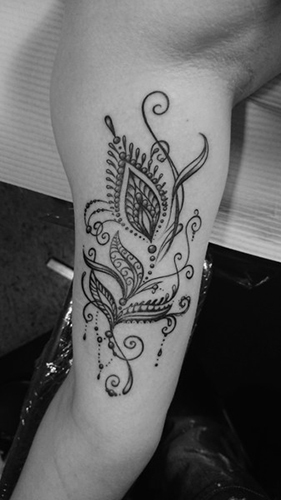 Beautiful black and grey upper-arm-fineline-tattoo by Sajo Suriel. Elegantly swirling curlicues creating the imagery of pearls, leaves and a feather. Get your ornamental body art by Sajo here.